Voice acting can be a pretty thankless job with limited recognition, and the people involved wouldn’t want it any other way. When you venture beyond the celebrity voices that can sell a project, there are many skilled professionals working daily to make animated films and TV shows click. Their stories reach the forefront in I Know That Voice, a warm documentary about the individuals behind the characters. The sources for voices from popular shows like The Simpsons, Family Guy, and Bob’s Burgers are only known by the most devoted fans. 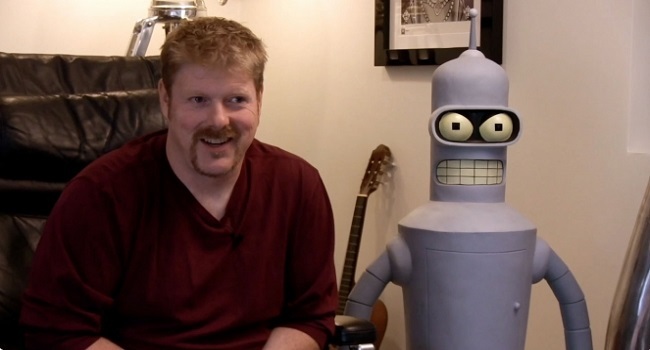 The robot Bender in Futurama is easily recognizable, but few could name John DiMaggio as the voice of that character. 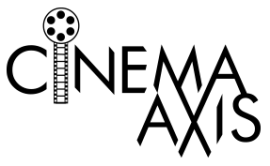 It’s one of countless examples presented during this engaging film. DiMaggio is an executive producer and one of the driving forces behind this project. He clearly wants us to learn more about the names that we see on the credits of our favorite shows. This documentary follows the “talking head” format and focuses more on interviews than clips from the shows. It moves quickly between participants and hardly takes a breath to delve into what each person does. The titles below their names identify one example of their work and frequently change depending on the topic. It’s the type of movie that sends you scrambling to IMDB because it only gives a slim portion of the story. Director Lawrence Shapiro (Jam in the Dam) and writer Brandon Sonnier (The Blacklist) seem more interested in giving an overall look at this group than concentrating too much on one person. This approach maintains a light atmosphere that fits that material; it’s the type of movie that keeps you smiling right to the end. Given this less detailed approach, the 90-minute running time may be a stretch, however. Some information feels a little redundant by the time you reach the last half-hour. There’s still plenty to enjoy with I Know That Voice, however. Getting to know the people behind the animated characters is refreshing, even for shows that I don’t know. A guy like Kevin Conroy has done an amazing job as Batman for multiple decades, yet I had never seen his face. Pamela Adlon looks nothing like Bobby Hill, but it totally fits once she starts using the voice. Once you see Bill Farmer do Goofy, it’s hard to imagine anyone else taking the part. More recognizable figures like Hank Azaria, Seth Green, and Stephen Root also participate, though they still feel comfortable. It takes such a unique skill set to thrive as a voice actor, and the film does a nice job revealing the differences. It doesn’t dig too far into the process yet still helps us understand the challenges. The enjoyable presentation will make you think more about how animated shows come together, and it’s hard to ask for more. I Know That Voice is currently streaming on Netflix in both Canada and the U.S. I had not even heard of this film until now. Definitely going to have to give this one a watch. I have listened to guys like Kevin Conroy and John DiMaggio talk about their craft on various podcasts, and I find it quite remarkable how fast they can slip into various characters. It’s a rare skill for sure. I heard about this movie on a podcast but hadn’t heard anything about it until then. It’s a pretty standard documentary, but it’s great to learn a bit more about people like Conroy, DiMaggio, and others. So interested to hear about this, since I have recently written a blog about how some VO professionals feel that they are being usurped by celebs in animation casting (for reference: http://www.debbiegrattan.com/blog/voice-over-community-losing-to-celebs/). I will look forward to viewing this documentary and hearing some of the back stories surrounding these VO actors in the biz.